Dana White addresses the current status of former UFC welterweight and middleweight champion Georges St-Pierre with the Las Vegas-based promotion. 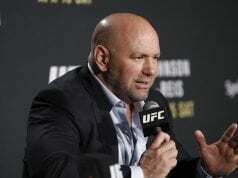 The UFC President recently spoke with the BBC where he talked about having GSP fight at his original weight class at welterweight rather than going after big money fights that the former UFC champion has been aiming for. In the past few months, there has been talk of GSP fighting Anderson Silva or even the winner of Conor McGregor vs. Khabib Nurmagomedov. 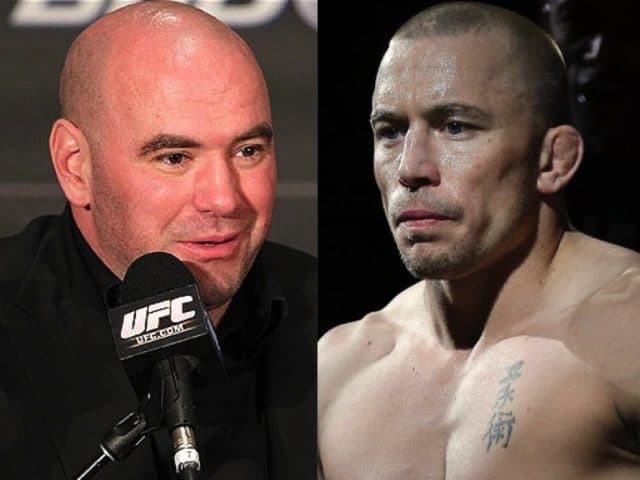 White did make it known that he’s not sure what the future holds for GSP or if he does return to action. 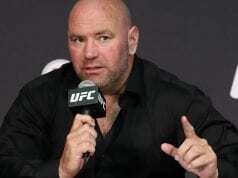 However, one would have to think that if he were to make an Octagon return then it would be at the UFC 231 PPV event. The UFC 231 pay-per-view is set to take place on Saturday, December 8, 2018 at Scotiabank Arena in Toronto, Ontario, Canada. The main card will air on pay-per-view at 10 p.m. ET. The preliminary card will air on FOX Sports 1 at 8 p.m. ET and UFC Fight Pass.